Wily fast bowler Peter Siddle made a surprise return to the Australian Test squad Tuesday after a near two-year hiatus, and the 33-year-old is determined to make the most of his second chance. The hard-working stalwart played the last of his 62 Tests in November 2016, and it appeared he had worn the Australian baggy green cap for the last time. But red-hot form in the English summer for county side Essex, and injuries to Josh Hazlewood and Pat Cummins, put him back in the frame again for the two-Test series against Pakistan next month in the United Arab Emirates. "My philosophy has always been not to worry too much about what the selectors are doing. For me, it's just about going out and enjoying my cricket, whether for Victoria or Essex," he said after getting the call-up. "If I perform well, it obviously gives me a chance to put my name forward. "Last (Australian) summer was hard, I was bowling well but not taking the wickets, so it was nice to get over to England and take the wickets. My good bowling has paid off." Siddle was a mainstay of the Australian team for years after making his debut against India in 2008, with his charging run-up, powerful delivery and bounce putting the frighteners up many a batsman. It earned him 211 Test wickets and he is keen to add to the tally. "You always need a little bit of luck along the way no matter how old you are and it's my chance now to be around the group again and try to get in the side for that first Test," he said. "I'll be doing everything I can in the next few weeks to get there. It's been a few years and a lot of hard work in between to give myself another chance, and this is the icing on the cake." 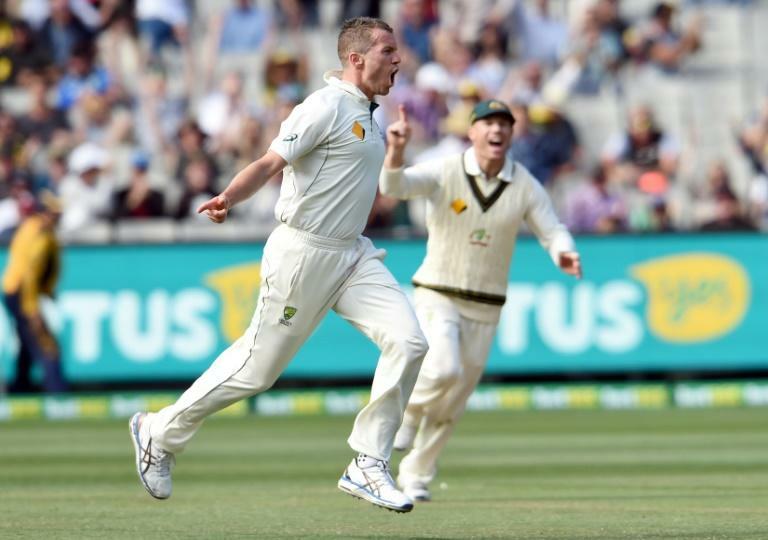 With Hazlewood and Cummins not in contention, national selector Trevor Hohns said Siddle's experience would be an asset in a squad with five debutants. "Peter is a proven performer in the Test arena, who has been in outstanding form in his recent first-class outings over in England," he said. "His experience will be crucial for this bowling group, and we know that he is a warrior who can bowl the type of long, tight spells which may be required in the conditions we expect to face."